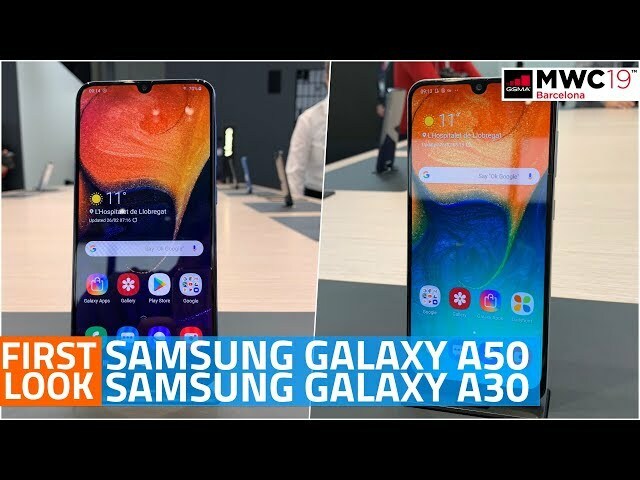 Samsung unveiled the Galaxy A30 and Galaxy A50 smartphones during MWC 2019, its first two smartphones under its revamped ‘Galaxy A’ series. The two phones sport an Infinity-U Display panel, and come with Android Pie out-of-the-box. The phones are expected to launch in India on February 28 i.e. tomorrow, and ahead of the launch, a retailer has revealed the Galaxy A50 RAM + Storage options. The Samsung Galaxy A50 is the more premium of the two, with an in-display fingerprint scanner and a triple camera setup. The Galaxy A30, on the other hand, sports a dual camera setup and a rear fingerprint scanner. According to Mumbai-based retailer Mahesh Telecom, Samsung Galaxy A50 ₹ 19,990 will be launched in India in two models – one with 4GB RAM + 64GB storage and another with 6GB RAM + 64GB storage options. When Samsung unveiled the Galaxy A50 globally, it also mentioned that a 128GB storage option will be available, but that isn’t arriving to India if this retailer is to be believed. Of course, this shouldn’t be taken as the final word, and Samsung will make all details official at the event set for tomorrow. The retailer hasn’t detailed the Samsung Galaxy A30 ₹ 16,990 models, and it could be possible that it will be made available in India in only one RAM + storage model. Globally, the phone was listed to come in 3GB and 4GB RAM options and 32GB and 64GB storage options. In any case, both the phones are set to come with microSD card slot support for memory expansion (up to 512GB). As per a press release shared by Samsung Netherlands, the Galaxy A50 will carry a price tag of EUR 349 (roughly Rs. 28,100). While the smartphone’s India price will be different, the Netherlands pricing does offer an indication of what to expect. The global rollout of the Galaxy A30, Galaxy A50 starts mid-March. Samsung Galaxy A50 comes with a 6.4-inch full-HD+ Super AMOLED display, an octa-core processor, a 25-megapixel front camera, and packs a 4,000mAh battery. The triple camera setup houses one 25-megapixel sensor, another 5-megapixel sensor, and a last 8-megapixel sensor. It comes in 4GB RAM and 6GB RAM options. Inbuilt storage is offered in 64GB and 128GB options, with expansion of memory via a microSD card slot (up to 512GB).